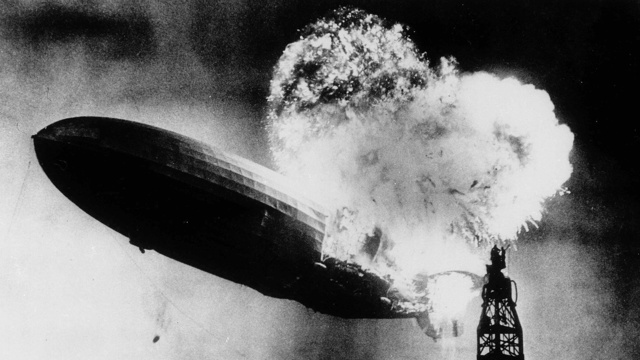 This photo, taken at almost the split second that the Hindenburg exploded, shows the 804-foot German zeppelin—loaded with flammable hydrogen gas—just before the second and third explosions send the ship crashing to the earth over the Lakehurst Naval Air Station in Lakehurst, N.J. 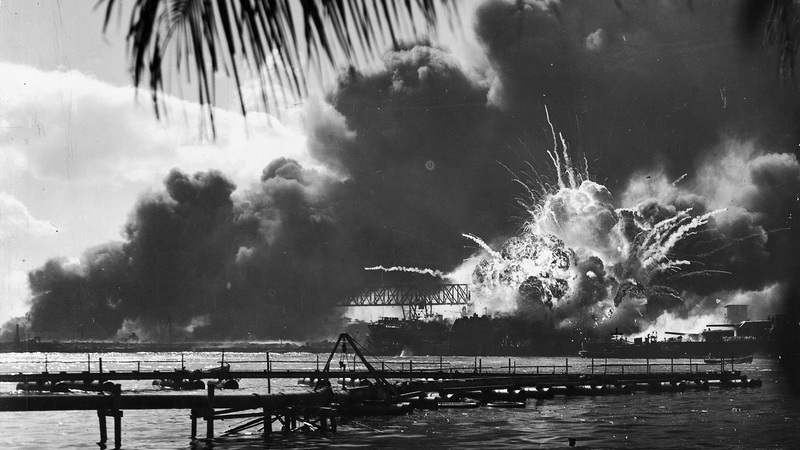 The forward magazine of USS Shaw (DD-373) explodes during the second Japanese attack wave in Pearl Harbor. 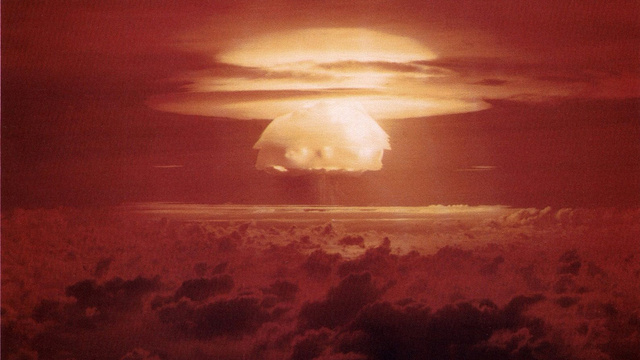 At 5:29 AM the world's first atomic bomb—with a yield of around 20 kt—exploded over the southern New Mexico desert. The destroyer of worlds was born. Refineries and oil storage tanks of the Monsanto chemical plant burn in the waterfront area of Texas City, TX. The disaster was caused by the explosion of the French ship Grandcamp, which was loaded with 7,700 tons of ammonium nitrate. About 2.7 kilotons of energy—the equivalent of 1.134 kilotons of TNT— was released. 581 died, and more than 5,000 were injured. This is generally considered the worst industrial accident in United States history. British engineers attempted to destroy the entire North Sea island of Heligoland (home of a Nazi naval fortification) with the help of 4000 tons of wartime ammunition. The blast—the largest single non-nuclear explosive detonation until Minor Scale (see below)—released about 3.2 kilotons of TNT-equivalent energy. Castle Bravo, a dry fuel thermonuclear hydrogen bomb, was the most powerful nuclear device ever detonated by the United States (15 megatons). Taking place shortly after the Sputnik debacle, the Vanguard TV3 was the US's first attempt to place a satellite in Earth orbit. A malfunction in first stage caused the launch vehicle to lose thrust after two seconds, and a vehicle fully loaded with liquid oxygen and kerosene was destroyed. Ripple Rock was an underwater, twin-peaked mountain, hazardous to ships passing through the Seymour Narrows of the Discovery Passage in British Columbia, Canada. It was destroyed with the help of 1,270 metric tons of Nitramex 2H explosives. Cape Canaveral, Launch Complex 16. The TITAN Ballistic Missile Program went terribly wrong on this day because of the failure of the Titan I C-3 rocket loaded with about 100 tons of liquid oxygen and kerosene. The deadliest launch pad accident in history. About one hundred people died at Baikonur test range, when the second stage ignited prematurely during the test of the Soviet ICBM R-16 rocket. The Soviets' AN602—a three-stage Teller–Ulam design hydrogen bomb with a yield of 57 megatons—was the most powerful nuclear weapon ever detonated. The liquid oxygen and kerosene fuelled Atlas LV-3C Centaur-C rocket destroyed itself and the Launch Complex 36 at Cape Canaveral, Florida. 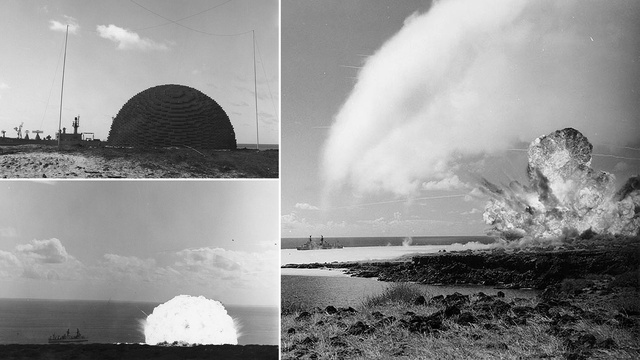 A series of tests was performed by the United States Navy, using a 500-short-ton (450 t) mass of high explosives (i.e. TNT) to simulate the shock effects of nuclear blasts on naval vessels, on the island of Kahoʻolawe, Hawaii. One of the four N1 rockets that the Soviets intended to send to the moon exploded on the launch pad. 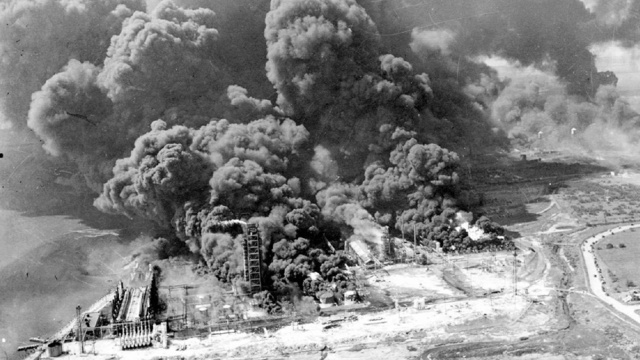 The blast of the 1,496,000 lbs (678,574 kg) of liquid oxygen and kerosene released around 29 TJ energy, comparable to the Hiroshima blast. 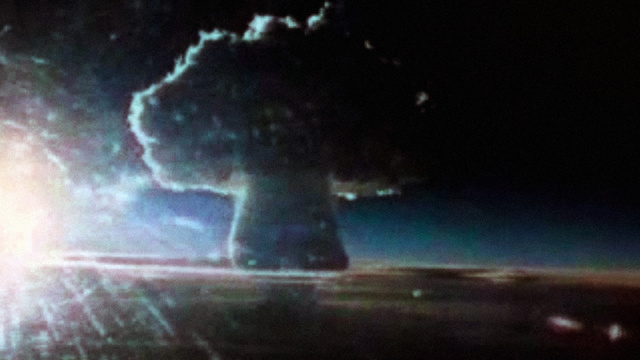 This was the largest non-nuclear man-made explosion in history. A tanker carrying 113,000 liters of liquid propane and isobutane explodes in an enormous BLEVE (Boiling liquid expanding vapor explosion) after a train derailment in Murdock, Illinois. 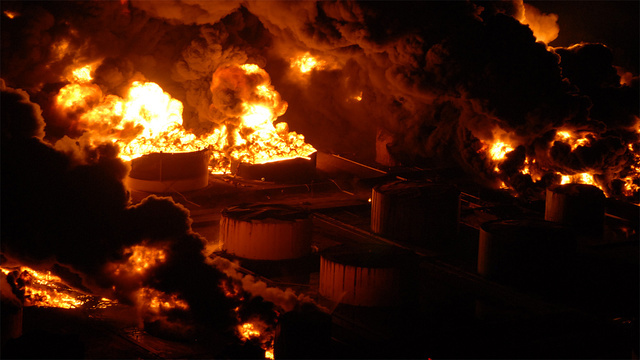 One of the deadliest industrial disasters in history was caused by a series of explosions at the Petroleos Mexicanos (PEMEX) liquid petroleum gas (LPG) depot in San Juanico, Mexico. 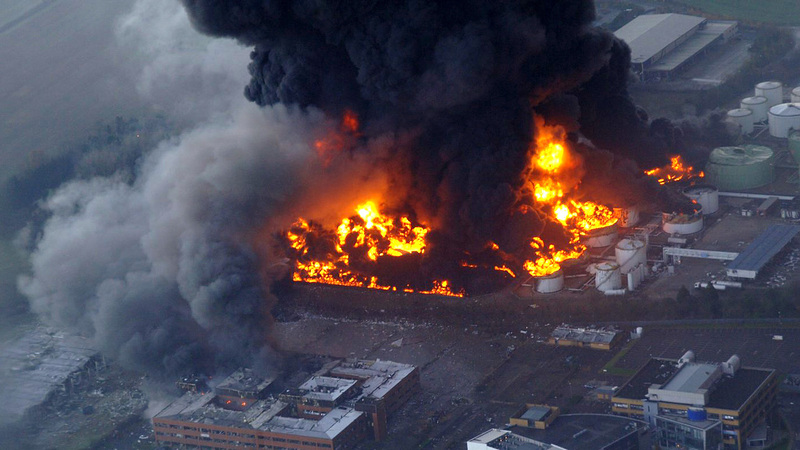 The explosions destroyed the entire facility, which held 11,000 m3 of liquified propane and butane gas. It devastated the town. More than five hundred people died, and thousands suffered severe burns. 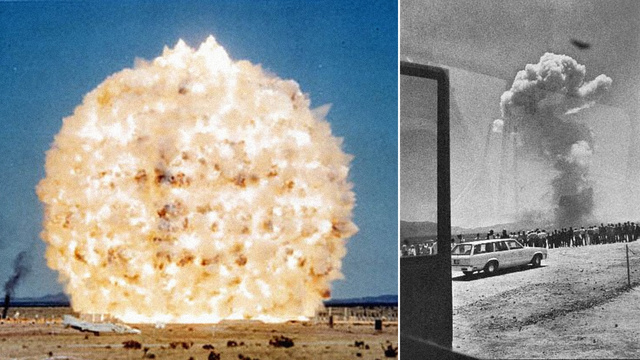 The United States Defense Nuclear Agency conducted a test to simulate the blast of a nuclear weapons by detonating 4.8 kilotons of ammonium nitrate-fuel oil (ANFO) at the White Sands Missile Range in New Mexico. 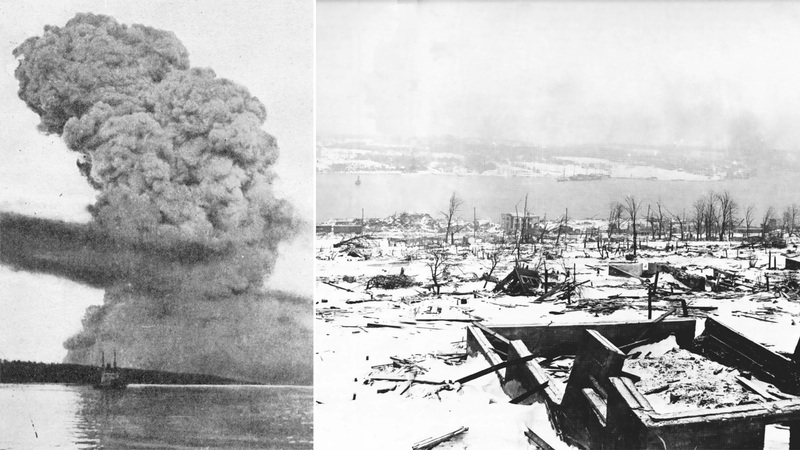 This was the largest planned, non-nuclear explosion in history. Nearly nine million pounds rocket fuel—mostly ammonium perchlorate, an oxidizer used in the solid fuel rocket boosters of the Space Shuttle System (STS)—exploded at the Pacific Engineering Production Company of Nevada in Henderson, and released the equivalent energy of about 2.7 Kilotons of TNT. The disaster—two large and five lesser explosions—claimed two lives, injured 372 people, and caused an estimated $100 million in damage. The 22,600-pound GBU-43/B Massive Ordnance Air Burst (MOAB, nicknamed "Mother of All Bombs") is a large-yield thermobaric bomb: the most powerful non-nuclear weapon ever designed for the US. That Sunday morning there was a series of major explosions at one of the biggest oil depots in the UK—60,000,000 imp gal (270,000,000 L) capacity—in Buncefield, England. The explosions were heard over 100 miles away, as far as the Netherlands and France. Astonishingly, there was not a single fatality. The unmanned Zenit 3SL rocket—loaded with liquid oxygen and kerosene—was supposed to carry a satellite into orbit from the Sea Launch platform Ocean Odyssey. Needless to say, that didn't happen. The Aviation Thermobaric Bomb of Increased Power (ATBIP), nicknamed the "Father of All Bombs" (FOAB), is a Russian non-nuclear weapon, allegedly four times more powerful than the U.S. military's MOAB and plainly evaporates every living creatures in its blast range. With these 15,000 pound (6,800 kg) conventional bombs, the USAF was able to convert any hostile terrain into a clean and friendly helicopter landing zone (for example in Vietnam or Afghanistan). The BLU-82 weapon system was retired in 2008 and replaced with the more powerful MOAB. 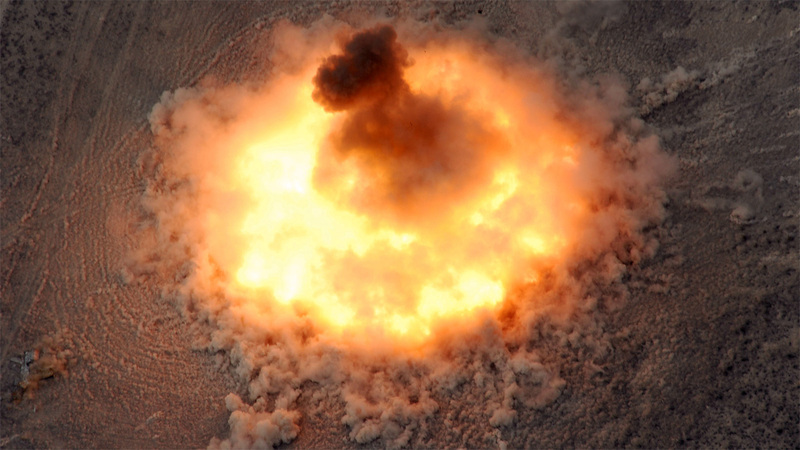 The last bomb was detonated at the Utah Test and Training Range. There was a major gasoline tank explosion at the Caribbean Petroleum Corporation oil refinery and oil depot in Bayamón, Puerto Rico. The blast was seen and heard from 50 miles away and left a smoke plume as high as 30,000 feet. The detonation caused a magnitude 3.0 earthquake and blew glass around the city.